Applying for Funding Yourself? 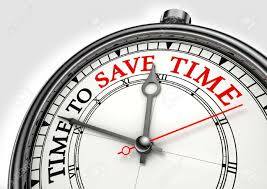 Save Time with Us! Have you ever applied for government funding yourself? Do you plan to? You don’t need to engage us in the whole funding application writing process. Just choose what matters to you. Engage us in writing one or several pieces of supporting documentation. Instead of torturing yourself for 12 to 60 hours, get our help and get the documents written quickly and professionally. Studying your case and documents: we do keep your information confidential. Writing selected supportive documents for your application package, including Funding Request, Business Plan, Project Plan, Project Return On Investment and other financial calculations, Project Proposal, Project Feasibility Study and other non-listed documents upon your request. 10 business days, subject to the scope and client’s availability. Flat fee, no contingency solution. Simply choose a funding program you’re applying for and required solutions. Based on that information we’ll provide you with a number of hours we need to help you and our quote. We guarantee confidentiality of collected information and will get back to you within 2 business days. If you need a second opinion on your application or get lots of questions from government funding administrators after the application is submitted, make sure you contact us. We’ll go through your application, apply 10 steps quality assurance methodology, check the information and its relevance to the funding programs’ objectives, add valuable points to increase your application’s score and likelihood of approval. If the application you’ve written has been approved you now have to file regular reports to the government. Save yourself from 1 to 15 hours to write those reports. Studying your application, case, and documents: we do keep your information confidential. 5 business days for 1 project (a report or claim), subject to the scope and client’s availability.